Oliver loves pretending to be a pirate, but learns that blindly following others doesn’t leave him with a good feeling inside. Through it all, Captain Oliver learns that following God’s way is the true way to wisdom! 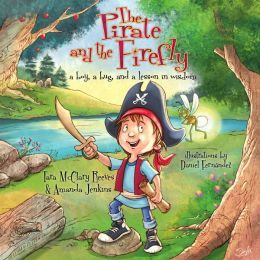 The second book in the Firefly Chronicle series brings entire sections of Scripture to life via imaginative, fantastical stories that use a passage from Psalms to help children understand and applly biblical truths to their lives. Each book in the series will depict Oliver wearing a different costume as he imagines and adventures his way through God’s Word with the help of Phineas, the firefly. The series will address the felt needs of children ages 4 to 8 including courage, confidence, friendship and more with biblical truths about God.